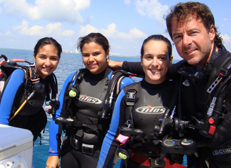 Patxi along with his newly certified Miami Beach High School SCUBA Club students and NAVY scholarship winners as part of his World Ocean Watch program. 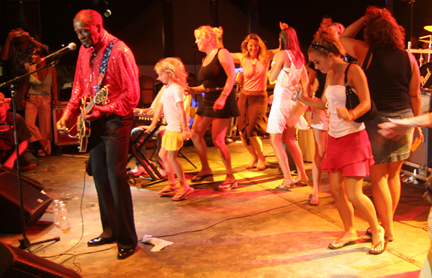 Patxi's 2005 "Celebration of the Sea" Music & Film Festival rocked thousands in the Florida Keys. 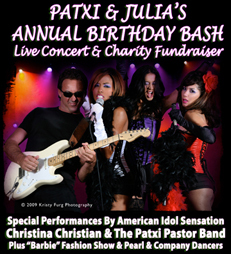 The mega concert featured The Father of Rock And Roll Chuck Berry, Aerosmith Front Man Steven Tyler, Jeff "Skunk" Baxter of the Doobie Brothers and Steely Dan, Barry Goudreau and Fran Sheehan, original members of Boston, rap pioneer DMC, Supermodels Sabrina, Frederique van der Wal, Carol Alt and many, many more for Patxi's charity "The Celebration Of The Sea Foundation". 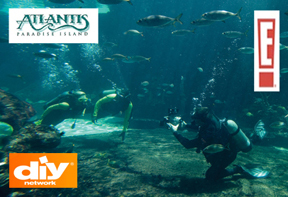 Patxi films Victoria's Secret Supermodel Frederique in the Spectacular Atlantis Giant Ocean Tank in the Bahamas for E! 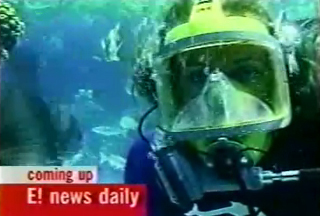 Television, DIY and Extra TV Programs. To view the segments of some of the shows Click Here! Does It Again On E! Television! Patxi Performed With American Idol Sensation Christina Christian For The Celebration Of The Sea Charity Concert & Fashion Shows At Miami Beach's Hottest Venue. 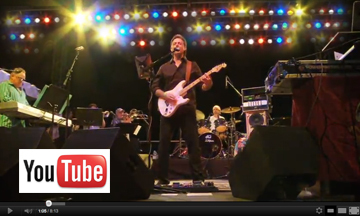 View The Patxi Pastor All Star Band promotional video featuring live footage from their recent concert at Miami's spectacular waterfront Bayfront Park. and and its members please Click Here! Patxi was the Executive Produced for the historic Fontainebleau's $1 Billion Renovation kick-off party of LIV hosted by Victoria's Secret and hostess of E! Television's hit show "Wild On" Cindy Taylor and Supermodel Niki Taylor to celebrate the legendary Irene Marie Agency's 25th Anniversary. Patxi is pictured here during the event from right to left with Bob Seger's Silver Bullet Sax Man, Alto Reed, Supermodel Niki Taylor, Mega Agent Irene Marie, Supermodel Cindy Taylor and George Terry from the Eric Clapton band. Photo Courtesy of Paul Emmans - Rolling Stone Magazine. 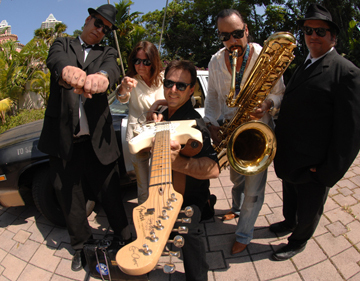 Patxi was the Executive Producer of the 2008 "Celebration of the Sea Music & Film Festival" which featured the Blues Brothers and special guests Judy Belushi Pisano and Bob Seger's Legendary Silver Bullet Sax Man Alto Reed who are all pictured with him here for the live ocean side concert on Miami Beach. Photo Courtesy of Larry Marano - Rolling Stone Magazine. To learn more Click Here! 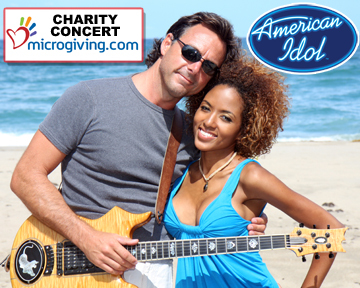 Patxi performed with American Idol Sensation Christina Christian for the Microgiving Charity Concert on Boynton Beach, FL. Photo Courtesy of Janis Bucher - Ocean Drive Magazine. Check out Patxi's digital guitar synthesizer that reproduced the vocalizations of whales and dolphins off the Grand Bahama Bank. 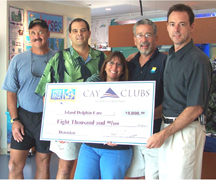 "Celebration of the Sea Foundation"
Patxi Founded the "Celebration of the Sea Foundation" to provide help for children with cancer and special needs and to produce educational and environmental programs for students and families. 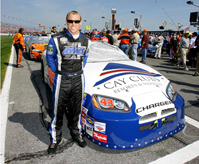 To learn more and help him support this important cause Click Here! 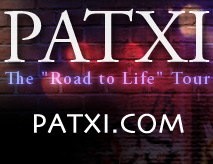 To view a list of a wide variety of Patxi's press releases and events he has produced over the years Click Here! 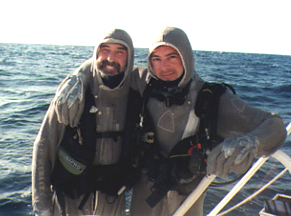 Patxi and Emmy Award Winning Underwater Cinematographer Frazier Nivens suit up to film sharks in the Bahamas. 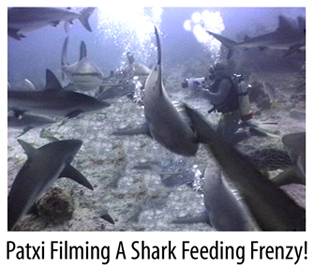 To learn more about Patxi's shark adventures Click Here. 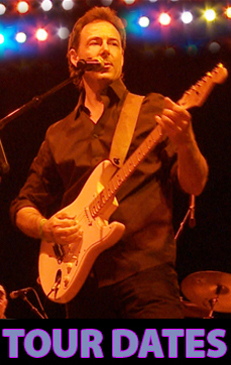 To add yourself or any friends to Patxi's "Mailing List", please enter your e-mail address below to receive his tour dates and news updates. 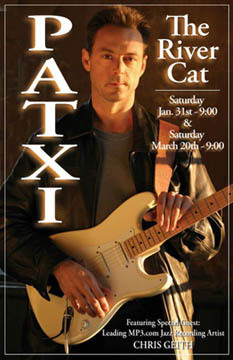 To download Patxi's songs for FREE simply Click Here!